The first of 5 par 3's. Despite being short this is not an easy green to hit. The entrance to it is very narrow and guarded by deep, tricky bunkers either side. 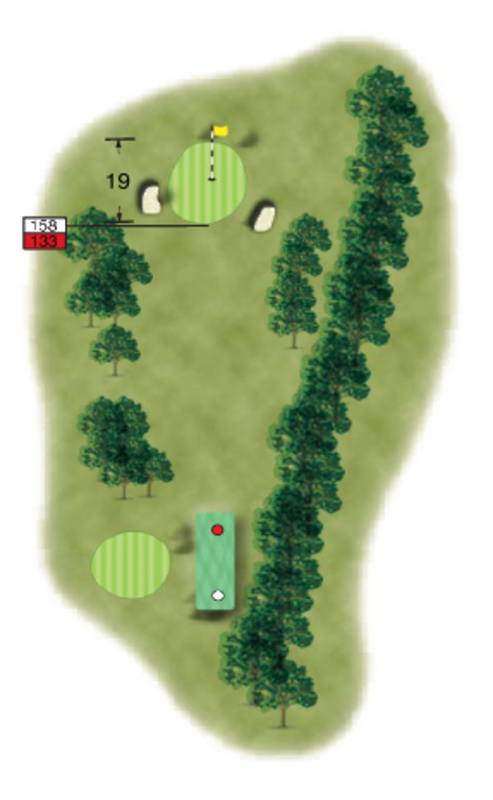 The green is small, with run offs either side and a grassy bank at the back, making chip shots difficult. Use an extra club from the tee. This hole is all carry and plays its full yardage.